The subject is, instead, the planet Mercury, the latest subject of exploration news from NASA. And unlike our previous exciting episode, which - alas! - turned out to be exiguous, this finding seems more solidly grounded. Sky & Telescope, which notably avoided the 'earthshaking' Mars story**, unabashedly reported the Mercury news. After all, there is less impulse toward hype: People have not spent the last hundred years breathlessly speculating about ice on Mercury. In fact, for about half of that hundred years, Mars was believed to be fully tide-locked, and ice on the eternal-night side would not have been all that surprising. Even so, the whole idea of ice on Mercury evokes the proverbial snowball's chance in Hell, and all that. Even though Venus turned out to be the Solar System's real hell. Mercury did not get much love from rocketpunk-era SF. A quick google shows that Asimov went there, disguised as 'Paul French,' in Lucky Starr and the Big Sun of Mercury. I probably read it, but do not remember it. Asimov's strengths, unlike Heinlein's, did not lend themselves to juvenile fiction. If Clarke or Heinlein ever went there, I blinked and missed the trip. Mostly I just remember throwaway mentions of bases or outposts on Mercury. The problem with Mercury, in SF and for actual human exploration, is not so much its surface conditions, which can fairly be called challenging, nor the fairly steep orbit required to get there. It is the problem of that Big Sun, blazing with ever-greater intensity as you drop toward Mercury's orbit. The Messenger spacecraft uses a sunshade for protection, and human missions would certainly do the same. Deploying the sunshade is probably easier than they imagined in rocketpunk days, and shouldn't require spacewalks. This is good. But of course if deployment fails for any reason, things will get terminally unpleasant on board. One good point about going to Mercury is that solar electric power does just fine - and in fact could have about ten times the acceleration in Mercury space that it does at 1 AU. The combination of plentiful ice - a quantity of H2O reportedly somewhere between Lake Tahoe and Lake Erie - and very plentiful insolation invites speculation about an industrial future for Mercury. Mercury's high density also suggests that heavier elements are plentiful, perhaps even near the surface. Going to Mercury will be difficult, and therefore expensive. Going there cheaply, on a large enough scale for significant industrialization, will take orders of magnitude of technical progress. And with that level of progress we might not need to mine stuff on Mercury anyway. We may not go to Mercury at all, in person that is, at any rate not in the midfuture. It may simply be easier and a lot safer to explore robotically. On the other hand, I do not expect that the human presence in the Solar System will develop the way people imagined in the 1950s. 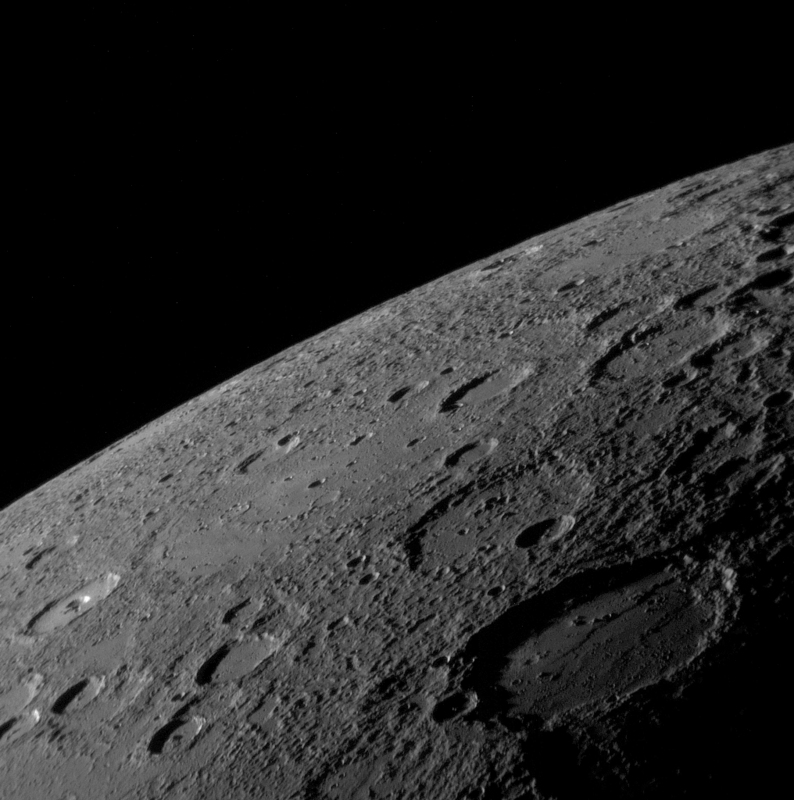 Mercury could turn out to have more of interest than worlds we imagined as more promising, and turn out to be a thriving center of activity in a few hundred years. Stark and Lannister. I have no problem with riffing off real history, but the noble houses of York and Lancaster are not, shall we say, associated with a successful politics. This of course is no bar to successful fiction - it certainly didn't stop Shakespeare. But I will stick with the equally lurid and much more effective Tudors (or even pseudo-Tudors), thank you very much. Winter is Coming. The motto of the noble Starks translates as Darker and Edgier. Again, thanks but no thanks. ** As it turns out, Curiosity has found 'simple organic compounds.' Alas, they were probably cooked up by the SAM experiment's chemical oven. The image comes from a website called, accurately if not imaginatively, planetsofthesolarsystem.net. It's also got a fair-sized gravity well for its size (Mercury's surface gravity is the same as Mars), and it doesn't have the advantage that most asteroids have (which is that a lot of them are loosely-held-together clumps of rubble that can be pulled apart more easily than actually mining on a planet with serious surface gravity). I doubt it will amount to much even beyond the PMF. Stark and Lannister. I have no problem with riffing off real history, but the noble houses of York and Lancaster are not, shall we say, associated with a successful politics. Although GRRM says he was inspired by the War of the Roses, the actual direct comparison isn't particularly strong. There isn't even really a rivalry between the Starks and Lannisters, just a degree of distrust and discomfort due to how brutally the latter sacked the capital during Robert's Rebellion. The Lannisters, or at least Tywin and Tyrion Lannister, also tend to be effective. The former more or less ruled as a proxy for the King for nearly 20 years with prosperity, and the latter proved apt when placed in charge of King's Landing (the "capital"). It's just a reflection of the fact that the longer winters are much more significant and dangerous in the North of Westeros as opposed to the South. The Starks themselves are actually closer to the stereotypical stoic and honorable noble family, like the kind you would see in a book like Lord of the Rings. I think you would enjoy the books. They're very character-driven, and GRRM is extremely good at doing the whole "everyone is the hero of their own story" factor when depicting characters from their own POV chapters, then showing how they look from other people's perspectives. He also has an incredible amount of little details linking different parts of the books together, which you usually only notice when you reread the books. I forgot to add this, but he can actually do humor and mix it in with more serious elements. It also doesn't have that annoying thing with more recent "darker" fiction, where they think the only way for it to be "adult" and "relevant" is for it to directly parallel real world stuff (I'm looking at you, Battlestar Galactica). I wonder if the real McGuffin for 22nd century humans is going to be extreme environments. Mercury might make an excellent place for industry requiring large amounts of energy, such as antimatter production or manipulating space/time to make wormholes or launch warpdrive vessels (really non PMF in that case). Directly harvesting solar energy by inducing laser emissions in the photosphere is also a possibility. Other places of interest might be Neptune or Uranus where there is enough gravity to hold large amounts of light elements like Hydrogen and Helium, but not so much gravity that it is prohibitively expensive to "mine" and process. Being able to tap into a solar laser sending energy from the photosphere would make production much easier and provide a means of providing political and economic linkage across the solar system. The advantages of planetary surfaces for industry might be being under-rated, given that we only notice the disadvantages. On a planet, without special measures, you have a foothold and leverage, things stay where they were put, and wheels on the ground do very nicely in place of thrusters. Maybe Mercury could be compared to the sugar islands of the 18th century, or the oil rigs of the north sea of now? Population density unlikely without orbiting satellites, but massive resources to mine. Main population elsewhere on Earth and Mars with some habs orbiting Mercury. Does Mercury have more material than Mars' asteroids? Earth, Mars and the belt all seem too conveniently placed near each other to bother about Mercury if its mining values over the long term are small. As regards ASOFAI, it isn't just a long series of battles and wars is it? Haven't read it, but everyone I know is raving over it. Oh and Rick, sorry about the long e-mail I sent you a few weeks ago. I know I went a bit overboard on the whole inter-steller trade thing- work stress got to me a bit. While playing the space industrialization game HIGH FRONTIER I made the annoying discovery that Mercury is about the most energy expensive terrestrial planet to land on in the solar system. All the others either had lower gravity or an atmosphere suitable for aerobraking. Your comment about how Mercury was the red-headed stepchild of Rocketpunk SF is very true. The only one that sticks in my mind is the classic Brightside Crossing by Alan E. Nourse. So the Antarctica of space then- hard to get to, extreme temperatures, near the center, but with some useful resources. aren't we forgetting the significant plot complication that the Mercury government provided in Rendezvous with Rama? Hardly a "throwaway mention", I think. ...not to mention the reference in that book to "megaton" nuclear warheads used by the hegelians for mining on/in Mercury. Between that and Rama itself, Clarke certainly didn't do things by halves in that book. 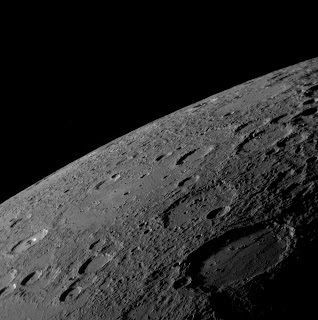 Would Mercury even be that good for generating power? The sunward side hits 700 K during the day, unless you wanted to stick your solar panels near the poles. And after reading NASA's own report on anti-matter production, I'm not filled with confidence. Well, a 900 degree heat gradient between the sun and space side of a structure should be good for something in power generation. Certainly we have materials that can withstand that. WRT antimatter, one ha to remember that it's not a power source in itself. It's just a high-potential energy storage medium, like hydrogen for rockets or nitrates in high explosives. Might not be worthwhile for interplanetary travel, but it would have value for insterstellar propulsion. That was my point. The NASA report points out a bunch of ways that they could greatly increase antimatter production with dedicated facilities, non-stop work, and special equipment . . . up to the 1-10 microgram/day level. Even if you had a billion of these things, it would still take you centuries or even millenia to produce so much as a metric ton of antimatter. That's why the NASA report more or less dismissed antimatter as a fuel source in of itself, but argued that it could be useful as part of a fusion rocket. "That's why the NASA report more or less dismissed antimatter as a fuel source in of itself, but argued that it could be useful as part of a fusion rocket." If I was talking about applications, I'd be thinking more along the lines of interstellar travel, which means using antimatter anihilation to heat a reaction mass (or to power the Enterprise). That would require the kind of antimatter production you can only get by capturing solar energy close to the Sun. That was my point, though. Unless you can increase the anti-matter production rate an order of magnitude beyond what even NASA thought was possible, and then build a gigantic amount of those accelerators, you're just not going to generate enough antimatter in any reasonable time-frame for use in an interstellar mission. "That was my point, though. Unless you can increase the anti-matter production rate an order of magnitude beyond what even NASA thought was possible, and then build a gigantic amount of those accelerators, you're just not going to generate enough antimatter in any reasonable time-frame for use in an interstellar mission." We're talking about something so far beyond our current capabilities that it's safe to assume that if it can be done at all, we'll find a way to do it within a reasonable amount of time. Mercury has the positive attributes of having access to huge amounts of solar energy, being a repository of dense elements like metals and enough gravity to make operations on the surface relatively easy. The downsides are a pretty terrifying environment, and being at the bottom of a deep gravity well. How a presumptive PMF or PFF civilization works these pluses and minuses will be interesting to contemplate, and from that you may guess at what sort of society emerges on Mercury (assuming there is any reason to settle there in the first place). I doubt you'll see anyone settle permanently on Mercury, at least not anything we would recognize as modern human (I won't rule out sentient robots and transhuman cyborgs, assuming they ever come into existence). You could see scientific outposts set up there, though. That would require some major advances in interplanetary travel, but it seems reasonable for that to happen if the technology and money are there for it. It's a whole world to explore. Presumably magnetic sails work well close to Mercury. If so, and if you can find all the right minerals to cook up superconductors somewhere down there, you could rig up an automated factory that only ever sends ships outwards. That eliminates most of the problems with the delta-V requirements. It would be fun if superconducting cable was the only significant export. 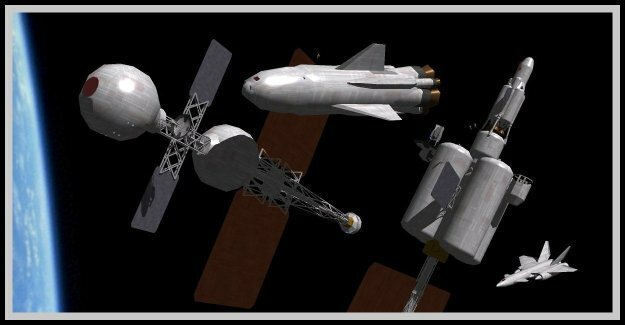 The outgoing "spaceships" could be just a huge bundled loop of cable with a little power and alignment unit strapped to it. Throw them into orbit somehow and let your products deliver themselves. Colonies on Mercury might be possible in a couple of specific forms. There could be colonies at the poles that mine the ice in shadowed areas and are powered by solar cells mounted on natural or artificial 'peaks of eternal light'. Elsewhere, there could be colonies that mine heavier elements. These would probably have to be nomadic, working at a particular site during the long night then moving before the dawn comes. The relocations might either be short and often, keeping just ahead of the terminator, or long and less often, moving to an area where night has just fallen, giving several weeks to work. These colonies might be powered by solar power satellites, probably kept aloft by statites, since Mercury's rotation is too slow to allow a stationary orbit. BTW, it's 'A Song of Ice and Fire', not 'A Song of Fire and Ice'. Also, as Brett says, there isn't really much resemblance to the Wars of the Roses. The Yorks and Lancasters were rival offshoots of the Plantagenets, while the Stark/Lannister rivalry is more about their relationship with the king, who is of a different House, but was raised with the current head of House Stark, and married the daughter of the head of House Lannister. By the time industry gets to Mercury, we may not actually need to go there ourselves. I can envision something similar to lichen or stromatolites (either mechanical or some genetically engineered life form) which extracts minerals or metals of interest, and an ecology of other mechanical or engineered "plants" and "animals" that metabolize the various products and transforme them into something "we" want. Magsail superconductors would be one ideal product since then the end products can be shipped across the solar system, but by the 22nd century there will be processes in use that have not even been imagined today. Like Tiberium from "Command and Conquer"? Seriously, though, it's probably a good idea. We already have companies doing work on sifting through "junk" rock to extract low-concentration metals, so it might be possible to create micro-organisms that could do that with "junk rock" on Mercury. Of course, the problem is that if you have super-metal-mining-recovery technology, that stuff probably works just as well on Earth and in the places where you're actually planning to live . . . and doesn't require you to send mined metals up the gravity well of the Sun. A high-temperature superconductor like that is one of those Wouldn't It Be Nice technologies, like fusion power. I'd love to have it, but . . . This is a little divergent, but since it's the most recent thread . . . I've been thinking about the "nuclear" vs "solar" power for a solar electric system. I agree with Rick that we probably ought to aim for the Solar Electric in the inner solar system (if we use it at all - we might just use chemical rockets), but would we need it in the outer solar system? I was wondering if you could instead do a combo solar electric/chemical rocket that would use the chemical rockets to slow down a spacecraft headed outward, and get a ship in the outer solar system headed inward, but I don't know if that works mathematically. Or you could just do the Isaac Kuo-esque set-up of having big powerful lasers to speed up and slow down spacecraft moving over interplanetary distances. :D That actually strikes me as the best way to get to "torch drive" speeds throughout the solar system, since you could front-load all the power requirements needed to accelerate/decelerate the ship. It's easier to have big reactors/solar panels in fixed positions near convenient power supplies than to stick them on a ship where mass is everything. I've never read any SF where immortality and entrenched political/economic elites led to space colonization, even though that actually strikes me as one of the more plausible "push" factors in a richer future society with better robots. Imagine if the boss - at work or in elected office - never retired, so the only way to get him out was to either put him out of business, revolt, or vote him out of office against a strong tendency towards incumbency. "The Quiet War" by Paul Macauley has the problem of entrenched long living elites in the background- it drives the jovian moons' youngsters out to the edges of the solar system in an attempt to escape their control which prompts earth to try and check their advance out of fear of them multiplying and becoming too powerful. Its a pretty good book- even has some good science in it without excessive technobabble. That sounds like a good read, so I'll check it out. Some authors get close to that, but the tendency is still to rely on over-population as the driving force. KSR's Blue Mars, for example, has Earth going through a political and economic transformation that ends with everyone basically getting access to a longevity treatment wherein they can live for "a thousand years"*. This leads to sudden and massive population growth, followed by expansion beyond Mars to the outer solar system and beyond. Even then, though, the main focus is on over-population as the driver. * I put "thousand years" in parenthesis because nobody in the book actually knows if that's true. The oldest people known in the setting are in their 250s, and they have some health issues (such as heart arrhythmia and memory problems). The notion of population just increasing until doomsday always seemed a little silly to me- people do get old eventually after all. The longevity gene thing does make up for that of course, but "tired depleted earth" does seem to have become a cliche. Am currently reading red mars now- look forward to reading the other two! Will McCarthy has also written a few novels where immortal elites ruled the Solar System, and the travails of the younger generation seeking their place in such a society. Outside of SF, statistically, an Immortal would live to about 1000 years before a fatal accident claimed them, and it has also been speculated that the human brain would reach full capacity after 1000 years (no more room for memories). Moreover, you'd expect near-immortality to cause the annual birth rate to drop even lower - perhaps drastically lower after the initial burst in population from people no longer dying of old age. It could even drop low enough so that the births accumulating over time are outweighed by deaths from various accidents or crime. You're reading the best book of the three, then. Green Mars has some very interesting stuff, particularly with new Martian and from-Earth characters (I won't spoil you), but it's still a weaker book than Red Mars. And Blue Mars is a mess, with some good ideas but abysmal pacing and dire need of editing. It seems like what KSR really wants to write, when free of editorial control, is tons of scenes of people fiddling around in nature hiking, running, and mountain climbing. I think it would realistically be a lot lower than that. If you've got forever to live, you're going to be much more cautious in what you do - and a lot of risky activities depend on how you insert yourself into them. A society with medical immortality is also likely to have a bunch of technologies for treating injuries. It's not like you're going to walk out of your house into a clear day 2000 years hence and get struck by lightning. Statistical calculations do not mean that one person in particular will live to be 1000, or even 1,000,000 years, it simply suggests that the average age of an otherwise physically immortal person will be 1000 when they slip in the shower or get hit by an asteroid. There are obviously lots of things that could change this; if spaceflight is relatively common and inexpensive there will be far more opportunities for fatal accidents. Culture will also be a factor; immortals might become very cautious, but they might also become bored and become thrill seekers. Still, if the average age of death in an immortal society is 1000, that is still 10X longer than the maximum age today, which would have all kinds of implications (consider the simple one of a savings account compounding over 1000 years, to start). Well, it's been a couple of months, so I'll try to not lose my temper and stay on topic. There is a natural human tendency to go and try to make your fortune in even the most godawful of places. Going to a mining outpost on Mercury probably sounds crazy to 99% of everyone, but that last 1% is who will make it a possibility...if they can get there. That the planet has everything needed for a small colony, including the long-shot of riches, will attract a certain type of person. If people can get there, they'll go. I've never read the book featured in the post title; it sounds complicated and somewhat familier. Even so, I might check it out, some time. Good to have you back. If it's any consolation, the thread probably won't turn into the mess we've seen in the past unless someone diverts it on to the top of re-usable bi-propellant rocketry. I'm not convinced there are riches there, though. All we have are extremely high per-kilogram market prices for Platinum Group Metals, and the economy has adapted by using much less of them. We don't know whether there's actually a sustainable demand for them at a price point that would pay for mining them off-world, or whether dumping them on Earth after billions of dollars in investment would just crash the market price and leave the investors deeply in the red. It's not like the colonization of the Americas. The closest equivalent would be Columbus's royally funded expedition. Even then, it would have just been a curiosity if Columbus hadn't found the Carribean islands, and then been able to go back the next year with enough troops and ships to turn them into profitable colonies (at the price of the local inhabitants, who were enslaved and eventually extinguished). Others just followed in that path. The English expeditions were using known technology that was far cheaper than spaceflight by comparison (a hundred reasonably prosperous people could charter a trans-Atlantic voyage), and they went looking for gold and silver in the hopes of duplicating the highly lucrative Spanish expeditions. Instead, they discovered cash crops that created up to 1000% profit if you survived the first year, or they found pre-shaped areas where the inhabitants had conveniently been decimated by disease (the Pilgrims and later New England colonists). The closest equivalent to space resource riches is offshore oil extraction, where companies spend billions on facilities in order to extract oil and gas for profit. Even then, oil and gas have the advantage of pre-existing systems of processing and distribution, as well as known and virtually guaranteed demand. Sorry, that post makes me sound more pessimistic about manned spaceflight than I actually am. I'm actually fairly optimistic about the prospects of manned spaceflight . . . in the longer term (decades and centuries down the line). Stuff that is too expensive even for billionaires to afford now might be affordable for a richer, more advanced future society. Moreover, remotely controlled- and autonomous-robots can really help with space colonization and work, even if in the short-term they substitute for astronauts. Brett, thanks, glad to be back. I'm not entirely sure that a Mercury colony would be profitable; However, I do know people and I'm fairly certain that if there is a way there, a small amount of people will go there. PGMs might be the main product, or it might be the support colony for an Antimatter production facility. Whatever the 'product' of the outpost, no matter what the reasonable expectation of getting rich is, there will be some that will see the place as somewhere to make a fortune. All that being said, I do think that it is technically possible to establish an industrial outpost of some sort on Mercury, and that it could be done by the end of this century. It wouldn't be cheap or easy, but it can be done. And, no, I don't think that it would be a good idea to "wait until the technology advances enough to make the task safe and routine"...there are some people who don't realize that challanges, even dangerous ones, are what drives human inovation and that the two can't be decoupled one from the other. There are people that won't do things (like colonize other planets) for the simple reason that it isn't hard, or dangerous, or lacks even a ghost of a chance of winning riches. However those opertunities come about, I think that at the turn of the 22nd century a Mercury outpost is a real possibility; I also see (in the here and now), a rich opertunity for a host of stories set in a Mercury outpost. Ferrell - great to see you back here! Given my general view of colonization - that if it happens it will be a byproduct of space activity, not its main goal - I wouldn't be terribly surprised if Mercury were colonized. It is one of the less interchangeable Solar System bodies. Radical life extension invites all sorts of speculations. Would people become hyper-cautious? Or would a sort of boredom set in after a few hundred years? Oh - forgot to add - there's a new front page post: Worlds of Tau Ceti? Habitable For Whom? People might just have a more flexible sense of what it means to be "there". If your robotic avatar can experience lots of it, and then it gets integrated into your mind such that it feels like you were actually there . . .
Just like the English colonists didn't find what they were looking for, I suspect that any sort of economic speculation based on PGMs or other "here and now" sorts of speculation will also be wildly off base. Consider that the English found very little gold or silver, but got rich from timber, tobacco, cod fishing, fur trading, exporting maize (corn) and other agricultural produce, and used the profits to start setting up an industrial infrastructure. The implications for Mercury (or the rest of the Solar System) are similar; the people who get rich will be the ones who identify and profitably exploit what actually exists in the New Found Land; not what they are hoping to find.